Fold and crease Very Vanilla into card base. 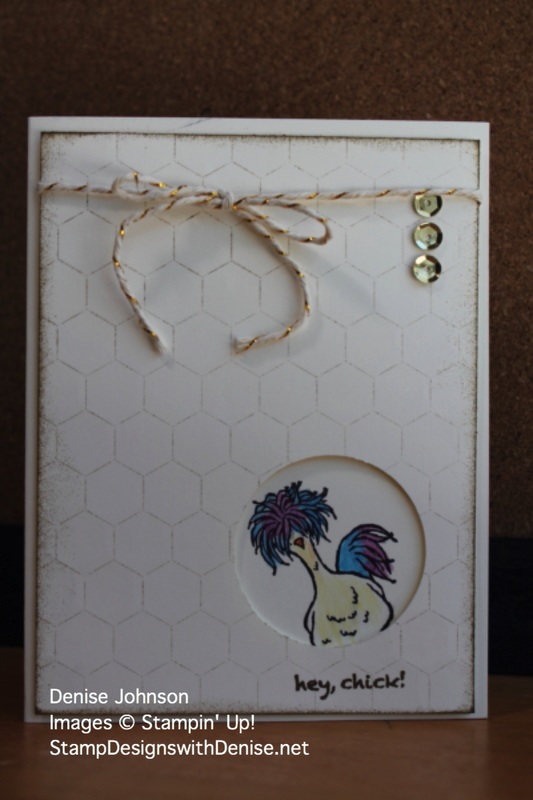 Using the Soft Suede ink and the sponge brayer, ink up the inside of the Hexagon embossing folder. Insert the Very Vanilla mat into the folder. Fold over and press down on the folder to transfer the ink to the mat piece. Punch out a circle from the mat. 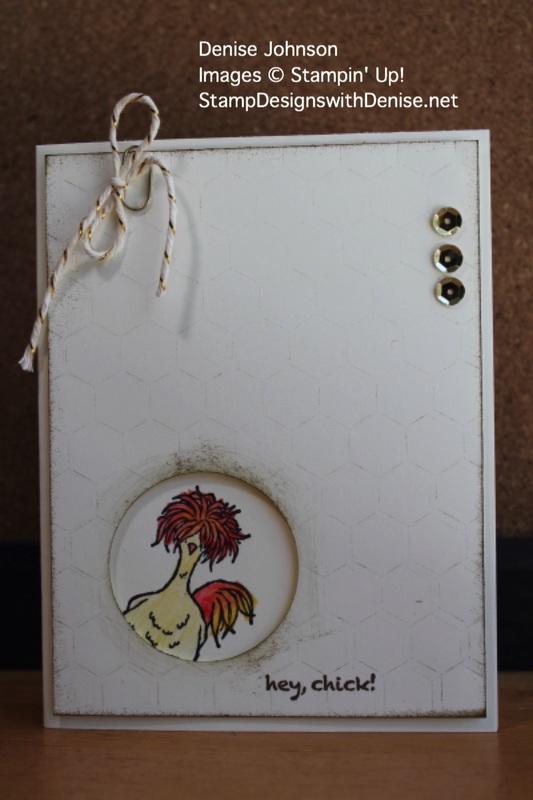 Place on the card top and trace the circle with a pencil. Stamp the chicken in the pencil circle. Erase the pencil marks. Stamp the chicken on the envelope. Sponge the edges of the mat and inside the circle. Color in the chickens using the Watercolor pencils. Use the Blender Pens to blend and soften the colors. Stamp sentiment in Soft Suede ink on card mat and inside card. Attach the mat to the top of the card base using dimensionals. Tie the baker’s twine into a bow on the mini paper clip. Attach to the card. Glue 3 sequins onto the card front.